The Biomimetic systems for cell engineering group has developed a new method to generate 3D intestinal tissue using hydrogels. This new in vitro model has been improved by providing cells with a more physiologically realistic environment, including tissue architecture, cell-matrix interactions and chemical signalling while remaining compatible with standard cell characterization techniques. Epithelial tissues contain complex three-dimensional microtopographies that are essential for their proper performance. These 3D microstructures provide cells with the physicochemical and mechanical signals needed to guide their self-organization into functional tissue structures and are key to their proper functioning. The Bacterial Infections: Antimicrobial Therapies group from IBEC, led by Eduard Torrents, has designed a new method that, for the first time, makes it possible to check antimicrobial treatment efficacy in the presence of nanoparticles.This new technique has recently been published in the Journal of Nanobiotechnology..
Antimicrobial resistance is one of the main threats facing global healthcare today. According to data from the WHO, there are an increasing number of infections (pneumonia, tuberculosis, gonorrhoea) that are more difficult to treat given that many antibiotics have lost their effectiveness. The root of this problem lies in the excessive use and misuse of antibiotics, which causes bacteria to become resistant to them. As a result, antibiotics are no longer effective. 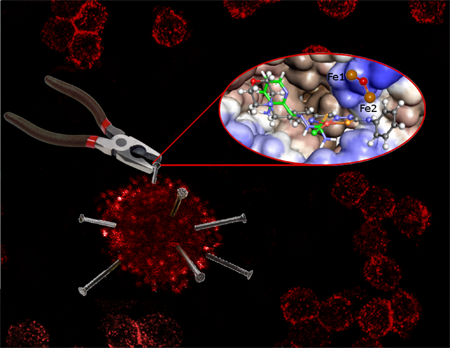 A scientific team led by IBEC and UAB manages to efficiently activate molecules located inside cell tissues using two-photon excitation of with infrared light lasers. The results of the study has been published in Nature Communications. Having absolute control of the activity of a molecule in an organism. Deciding when, where and how a drug is activated. These are some of the goals expected to be reached with the so-called photoswitchable molecules, compounds that, in the presence of certain light waves, change their properties. 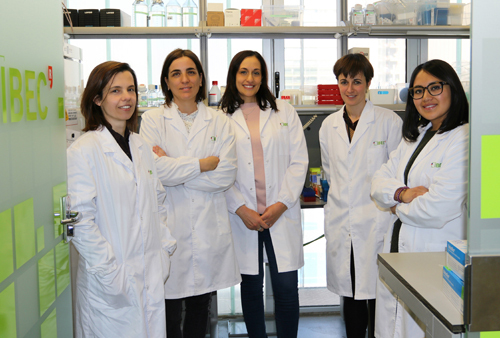 Today, thanks to the results of a study led by the Institute for Bioengineering of Catalonia (IBEC) together with the Universitat Autònoma de Barcelona (UAB), the scientific community is one step closer to achieving this objective. 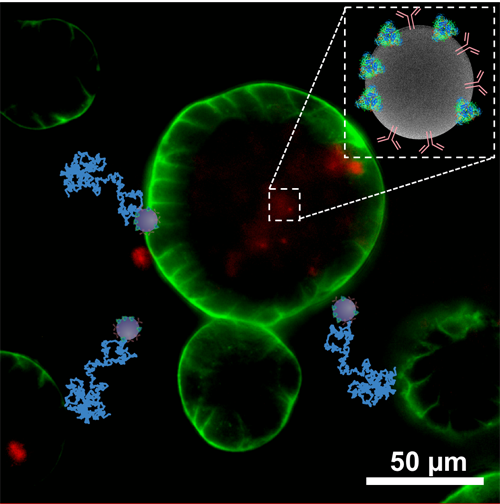 IBEC’s Smart Nano-Bio-Devices group have published a paper describing nanomotors that can attack 3D bladder cancer spheroids in vitro. The nanomotors carry anti-FGFR3 on their outer surface, an antibody that not only enables cancerous cells to be specifically targeted, but also inhibits the fibroblast growth factor signaling pathway, suppressing tumor growth. 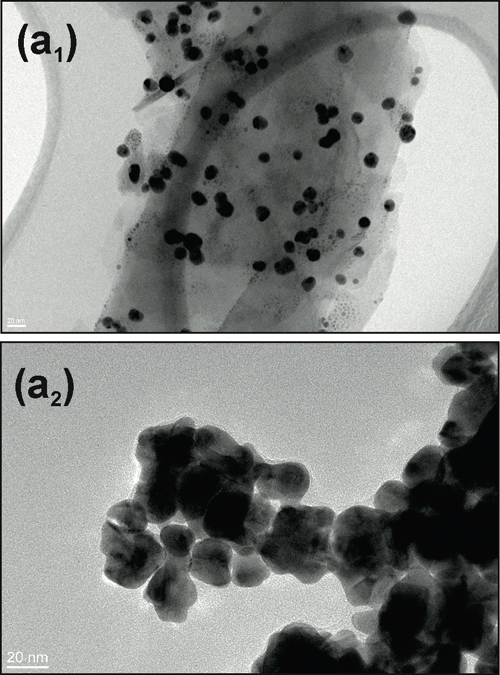 Crucially, the fuel that gives the nanomotors the capability of autonomous motion is urea, which is present at high concentrations in the bladder – making these particular nanomotors a promising avenue for this particular cancer. 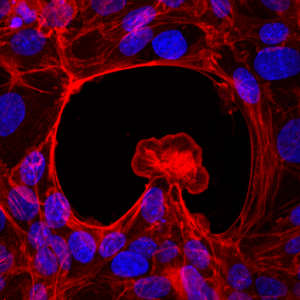 Researchers from the IBEC have created, for the first time, 3D organoid cultures from pluripotent stem cells, which resemble human embryonic kidney tissue during the second trimester of pregnancy. Using biomaterials that mimic the embryonic microenvironment, researchers have also achieved mini-kidneys with relevant features for immediate use in renal disease modeling. A study published today in Nature Materials reports how researchers from IBEC have created organoids, or mini-organs, that resemble the human embryonic kidney, and how these 3D cultures mimic essential aspects during the formation of the kidney, such as distribution, functionality and specific organization of cells. Cell migration is an essential biological process that drives tissue and organ formation during embryo development, and also helps protect the body through immune response and wound healing mechanisms. The shape changes necessary for cell migration depends on dynamic organization and force generation from the cell’s internal actomyosin cytoskeleton, which is made up of structural actin filaments and contractile myosin motor proteins. 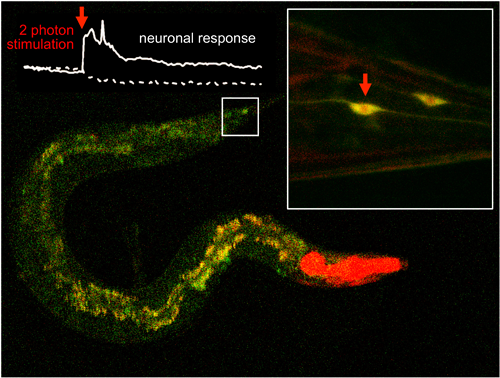 Reorganization of these components enables two mechanisms of cell migration. IBEC’s Smart Nano-Bio-Devices group – the institute’s experts in micro- and nanorobots – have used 3D bioprinting to produce ‘biorobots’ made of biological elements such as muscle tissue. 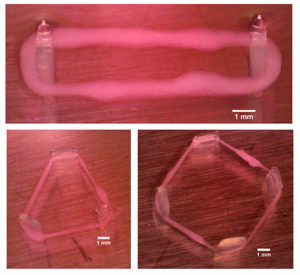 These bio-inspired soft robotic devices could offer many more capabilities for movement and performance – such as real-time bio-sensing, self-organization, adaptability, or self-healing – than existing systems, which use solely artificial materials. “Bio-inspired soft robotics is an exciting new discipline, as it may help us overcome the limitations of traditional robotic systems, such as flexibility, responsiveness and adaptability,” says Samuel Sanchez, group leader at IBEC and ICREA research professor. IBEC’s Bacterial infections: antimicrobial therapies group have published two papers offering new hope in the urgent search for antimicrobials. Not only have some common infections or illnesses become resistant to the antibiotics usually used to treat them, a really pressing medical problem now is the rapid rise of ‘superbugs’ or multidrug-resistant bacteria, which are immune to almost all of the antibiotics that are currently available. Collaborating IBEC groups have published a study in Nature Communications that reveals that electron transfer can take place while a protein is approaching its partner site, and not only when the proteins are engaged, as was previously thought. The results open up a new way of thinking about how proteins interact, and can have implications in a better understanding of many processes – such as photosynthesis, respiration and detoxification – in which electron transfer plays an important role. The relocation of an electron from one chemical entity to another – electron transfer (ET) – doesn’t happen passively: electrons are carried individually by redox proteins. Is the bottom-up approach enough to understand a whole system? An opinion piece by IBEC group leader Xavier Trepat has appeared in the News and Views section of the current issue of Nature, which is devoted to ‘Bottom-up biology’. 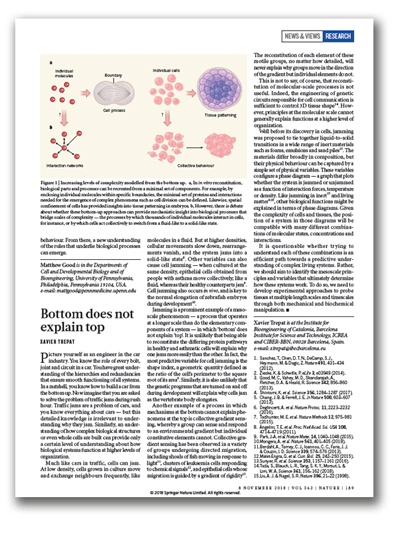 In his piece ‘Bottom does not explain top’, Xavier argues that understanding how complex biological structures – or even entire cells – are built can only provide a certain amount of insight into how biological systems function at higher levels of organization. There are many variables such as density, or even pathologies suffered by the subject, that affect cell behavior at the mesoscale – that is, at the longer, more ‘system-level’ scale than that of the individual components of an organism. Cells in a group, for example, can sense or respond to external stimuli that an individual cell cannot identify.